The Offa’s Dyke Path is 177 miles from beginning to end. How far do you think you’ll be able to walk in 10 days? What about in the entire month of June? How far along the path will you make it? At a brisk pace, a person will walk at a speed of about 3 miles per hour. To walk the length of the path in 10 days, you have to walk about 18 miles a day – that’s 40,500 steps! If you fancy walking that distance over the month of June, you’ll have to do about 6 miles (or 13,500 steps) every day! 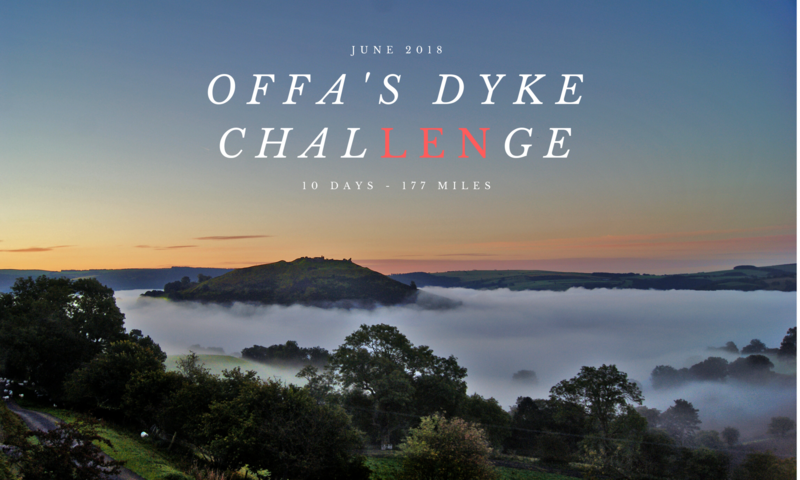 We realise that not everyone will be able to join Len on Offa’s Dyke so, as part of Len’s Challenge, we’re organising a virtual challenge so people can take part wherever they are. 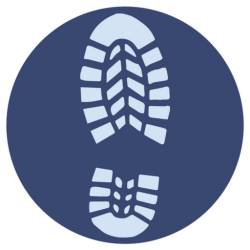 Len’s Challenge aims to support people to get walking and create a culture that promotes walking during and outside of work. We hope that by joining the Challenge, you and your team will see how easy it is to include some form of brisk walking into everyday life and to continue to walk every day long after the Challenge finishes. If brisk walking becomes a regular and normal part of your active lifestyle, you will see all of the physical and mental benefits of being active! Walk at a brisk pace to really see the benefits to your health and wellbeing. Brisk walking is walking at a pace that makes you breath faster, heart beat increases and warms you up. It may sound like a lot of walking, but in a team of 6 walking together can be fun. One person can walk 2250 steps in 20 minutes which is 1 mile! If you have a break, get outside and walk around, every step counts! More information on how to sign up to the virtual challenge will be available soon.